Murder by Gaslight: Death for an Insult. In 1881 J.T. Carter married Alice Thorpe; he was a successful saddler and she the accomplished and highly-regarded daughter of W.L. Thorpe, a contractor and lumber merchant. All were prominent citizens of Pensacola, Florida. The marriage was never a happy one and after six years, Alice Carter could no longer tolerate her husband’s irascible temperament and the couple separated. They tried to reconcile but J T Carter could not suppress his temper and they separated again. This time Alice obtained a divorce and took refuge at her father’s house. She was soon courted by J.M. Thompson, a prominent young grocer. Wasting no time, Thompson soon proposed to the pretty young divorcee and she said yes. Shortly after noon, on December 21, 1889, Alice and J.M. Thompson were walking down Tarragona Street in Pensacola. As Carter approached them on the other side of the street, he made an insulting remark toward Alice. When Thompson indignantly replied, Carter crossed the street and struck Thomson, knocking him to the ground. Carter fell on top of them and they began to tussle. Alice screamed and attempted to pull Carter off, but as she stooped, the blood of her former husband spurted in her face. Thompson had pulled out his pocket knife and stabbed Carter in the neck, cutting his jugular vein. He stabbed four more times and J.M. Carter died soon after. The tragic outcome had been expected by those who knew the parties involved. Public sentiment generally sided with Thompson. When the case went to trial the following March, testimony lasted only one day. The defense successfully proved threats had been made against the defendant’s life by Carter previous to the knifing. The jury returned a verdict of not guilty. “An Ex-Husband's Offense,” The Atlanta Constitution, December 23, 1889. 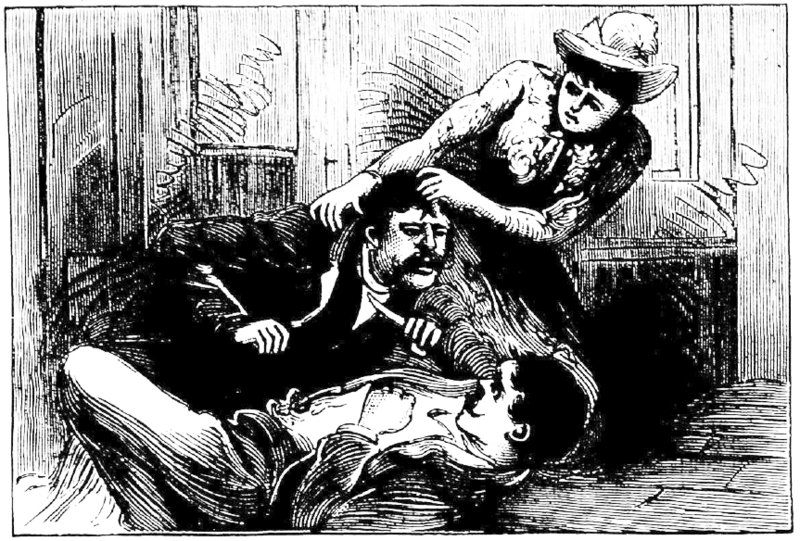 “Death for an Insult,” New York Herald, December 23, 1889. “Pensacola,” The Times-Picayune, March 16, 1890. “Stabbed by his Ex-Wife's Husband,” National Police Gazette, January 11, 1890. “Tragedy at Pensacola.,” Elkhart Daily Review, December 23, 1889. “Trial of J. M. Thomson,” The Times-Democrat, March 15, 1890. Sheesh there was a shortage of women in Pensacola? Carter got what he deserved.